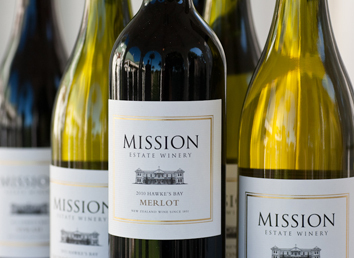 Check out the Mission Estate range of wines from the oldest winery in New Zealand. Bottega Valdobbiadene Prosecco Superiore D.O.C.G. Check out our range of artisan gin from around the world. Fantastic craft beers from the Brasserie de Silly. 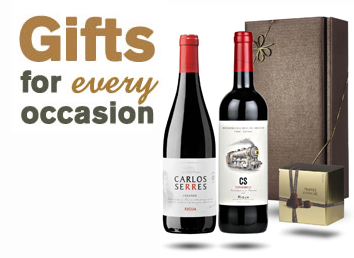 Check out our gifts from single bottles, twin sets and hampers to full cases of wine. With our vast experience in selling to the trade, we have built an extensive on-trade and off-trade client base of restaurants, hotels, pubs, clubs, wine merchants and many other establishments in between who continue to order from us year after year. We also offer bespoke wine packages to businesses in a variety of different sectors – ideal for functions, boardrooms, or corporate gifts. Our wine experts can help you put together a wine list that covers all the key styles, tastes, regions, and price points – and beyond. Our exclusive Vinoserv wine saver system reduces wastage and expands the possibilities of your wine list, and our in house design team can even design and print your wine lists free of charge. 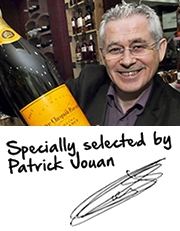 Independently owned and operated, Le Bon Vin have been importing wines direct from source since 1986 and are the only UK member of prestigious French buying group Cavavin. This gives us access to hundreds of the best family-owned single-estate vineyards at extremely competitive prices, making us the perfect supplier for any independent retailer. We can offer great discounts for large volume corporate sales. Whether you are a small business wishing to thank your customers with a nice gift or a large corporation looking to cater an office bar, staff party, or business function, get in touch to discuss our bespoke business packages. Please note: this is a miniature bottle. GIN MG, created in 1940, has been made by following the traditional London Dry Gin method that does without using cloying sugars that mask juniper flavours. It's unique as the only botanical used in MG Gin is juniper berries picked from the distillery's own trees in the Teruel region. These berries are hand-picked in October and re-selected again in Vilanova before distillation. The Giró Ribot family have been making aromatic cordials and dealing in wine since 1835 - being based in the Penedés wine region of Spain. By the early 1900s, they had also become distillers of brandy and whisky. During the Spanish civil war, Manuel Giró Sr was hiding in the local mountains when he noticed an abundance of juniper bushes growing there. So, began the family's connection with gin, and in 1940 it launched the highly successful Gin MG brand which is now one of the best-selling gins in Spain. Master’s Selection is the result of tri-distillation of grain alcohol in the presence of fruit from various exotic aromatic plants. It was created in 1982 as a revolutionary gin on the market. The liquid has always been distilled using the best methods and the best botanical ingredients. The family-owned distillery is incredibly proud of their creation and keep their family symbol, the lion, on the striking blue bottle. Master’s Selection London Dry Gin uses the necessary Spanish estate-grown juniper and adds other botanicals like Spanish coriander and Guatemalan cardamom. Also three different types of Spanish citrus: sweet oranges from Valencia, bitter oranges and lemons from Seville. Left to soak over 12 months, it makes for a delightfully fruity gin – the citrus trio makes it a very unique profile among gins. Who knew that the most popular of tasty tubers, the sweet potato, can be used to make the most fashionable of spirits? Well, not many people until the same chaps who make Scott Farms Sweet Potato Crisps were asked the question 'can vodka be made from sweet potatoes instead of regular tatties? They decided to find out and The Sweet Potato Spirit Co. was born. Experience the botanicals of juniper, cardamom, coriander and lemon zests, combining with the unrivalled smoothness of sweet potato spirit. Triple distilled in copper pot stills in the UK. The Cocktail Pickers Club believe that cocktails should be fresh, fruity and naturally delicious. That's why they use only natural fruits and purées, premium spirits and sweetness from monk fruit, which keeps the cocktails low in sugar. Everything in their bottles is completely natural and lightly pasteurised to keep them fresh - meaning no preservatives. The fruit juice is so pure you can see it settling in the bottle. All it needs is a good 'Cocktail Style' shake before serving, ice cold over crushed ice. This English Country Garden Cocktail is a perfectly balanced 'Taste of Britain' made from London Dry Gin, apples and elderflower. A deliciously refreshing, quintessentially English long drink. Garnish with a slice of cucumber and one or two fresh mint leaves. Please note: This is a single-serve 200ml bottle. A world-class crafted tipple made from artisan London Dry Gin and delicious English plums.Handmade in copper stills and produces in small batches this plum gin liqueur is deliciously light-bodied, yet smooth and flavoursome. A must for gin drinkers and sloe gin fans. Gorgeous simply over ice, and equally lovely in your favourite Champagne or Prosecco. The finest home-grown English raspberries are chosen to complement hand-picked sweet potatoes. A delicate perfume of violet petals gives way to a delightfully light sugar sweetness and gentle acidity on the finish. Enjoy the sharpness of fresh raspberries, married with the silky smoothness of the finest sweet potatoes in this all-round classic. Through making liqueurs for family and friends at Christmas The Tipsy Tart was born. Ludlow's local street market was the first outlet then at festivals throughout the country. Now we are proud to be a stockist of these award winning spirits in particular the Blood Orange gin that is one of their most popular. Try it blitzed with ice to make a mouth quenching slushie or simply with tonic water or prosecco. The Tipsy Tart has excelled herself with this deliciously fruity Blackberry Gin. It has a delectable aroma of blackberries with wild berries and a sweet spice while the palate boasts crisp juniper off-set with notes of summer pudding. Make a refreshing, crisp Blackberry Gin Fizz by adding fresh muddled (smashed up a bit) blackberries, lemon juice and ginger beer. Lush! If you forgot to roam the hedgerows looking for Blackthorn Berries (aka Sloe’s) and missed out on making your own, then no fear as The Tipsy Tart Slow Gin is here. Get your hip flask a the ready and sip this heart warming liqueur and ward off winter chills. Made with a great quality gin base (one of the most important things in creating a good sloe gin) Tipsy Tart is well balanced with a good sweetness to bitterness ratio and it delivers warmth and a burst of fruit. Delicious! Who needs custard when this delicate pink liquid is perfection by itself, although it does transform wonderfully with a good-quality tonic or ginger ale. The Tipsy Tart Rhubarb Gin has a delightful initial sweetness and a tartness to be expected from this herbaceous perennial most commonly found in pies and crumbles. There are so many ways to enjoy this tipsy tipple; try a Raspberry Collins - add simple syrup for sweetness, lemon juice for tart acidity and top up the glass with soda water, or create a Raspberry Gin Fizz by adding Prosecco to the glass, or treat it to a bottle of good quality tonic water for a G&T with a difference, or simply pour over cracked ice and sip away. Saturday deliveries are available on request, please phone for a quote. If you prefer to order by phone you can call our sales office and we will be happy to help. Unfortunately we are unable to deliver outside the Mainland UK. Copyright © 2017-18 Le Bon Vin Ltd. All rights reserved.